The Friends of Lydgate Green are asking if anyone has any plants they could donate to help improve the green space. 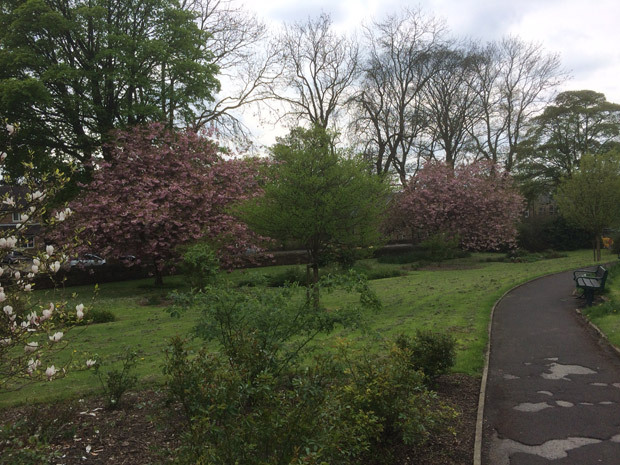 Secretary Roger Burkinshaw explains: “We replanted Lydgate Green last summer but the beds are looking a bit sparse after losses from the very wet winter and more annoyingly from the theft of half a dozen rose bushes. If you can spare any plants then please let Roger know by emailing woodster.rog@gmail.com. The Friends of Lydgate Green will then plant them up for everyone to enjoy. This entry was posted in crosspool, environment, gardening, improvements and tagged friends of lydgate green, lydgate green. Bookmark the permalink. Could you please send out an e-mail asking if anyone had by mistake picked up my umbrella from the meeting last night (Thurs). The description is a fold up black umbrella with rainbows painted on which turn coloured when it gets wet from the rain it is from M&S. The umbrella which was left on the coat hanger with my dark brown mac is a plain black umbrella. Hi Sandra, we’ve put out an appeal on social media for this. We’ll let you know if we hear anything back.